“Southwest Of The Moon” is the new single from A Choir of Ghosts – a Swedish indie-folk artist who inspired by the wilderness of Northern Sweden. A Choir Of Ghosts is Scandinavian singer-songwriter, James Auger. Previous several single, “Morning Light” reached over 1.2 million plays on Spotify and the Woods EP brought A Choir Of Ghost beyond the wilderness of the North of Sweden, to tour in Central Europe. 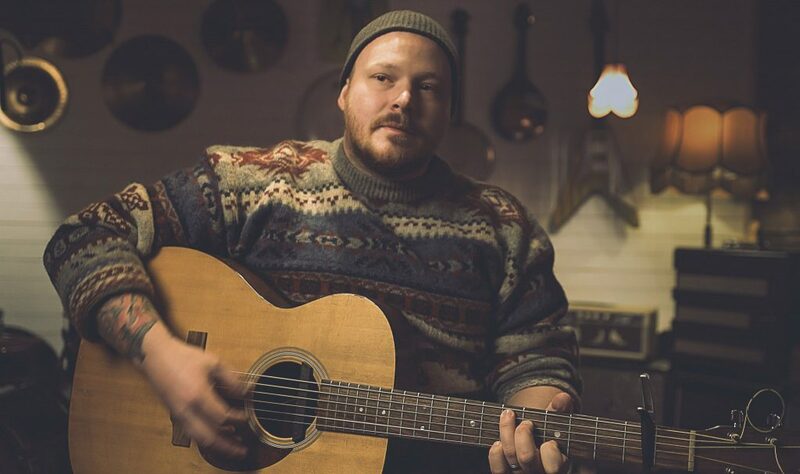 “Southwest Of The Moon” is a stripped back and soothing song that evokes sincere emotions through his melancholic vocals and folksy fingerpicking. The single “Southwest of the Moon” is inspired by a painting displayed in his childhood home and naturally developed into a reflection of past relationships and friendships. It resonates how we can break relationships when asking for too much, giving too little and being silent when being mistreated, in hope of you will “come back home”. “Southwest of The Moon” is a letter of apology, both to himself to be stronger and an asking of forgiveness for the people that have got hurt. The single is taken from the forthcoming debut album An Ounce of Gold and will be released by Greywood Records later this year.